Now we know that Allison Williams' performance on "Girls" is inspired. Her character on the HBO show, Marnie, has had a hard time with love, but Williams herself is in a happy place: she's now engaged to her boyfriend of three years, Ricky Van Veen. 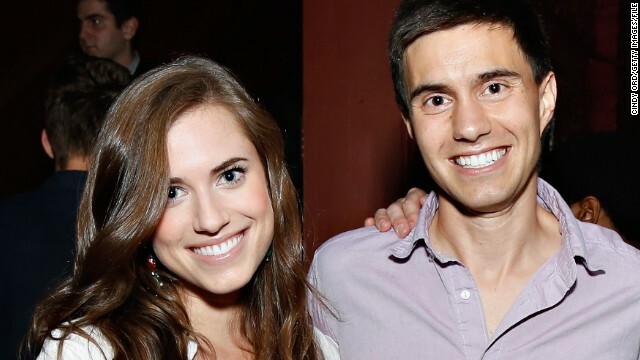 According to People magazine, the 25-year-old actress - and daughter of NBC News anchor Brian Williams - met Van Veen, the co-founder of College Humor, through mutual friends. It seems Williams have been thinking about settling down for a while, as she told Glamour magazine in its March issue that she's looking forward to having kids. "My goal is to create a career that I can walk away from and become a mom," she said. "I'd love to be a mom - and not have to bring my kids to the trailer."